It can take 2-3 hours for a 20-minute doctor’s visit: getting to the clinic & parking, waiting, getting home. And, it’s not just the patient, but often a family member/caregiver that also disrupts their day for a 20-minute visit. “Windshield time” for specialists can be disruptive to them too. To improve access in a system, the specialists rotate through multiple sites of care. But, they also have the drive/parking, etc. –making them less efficient. 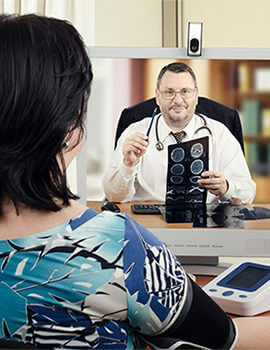 As we know, technology-based “market disrupters” are making virtual care a reality. And providers with risk-based payment such as Kaiser Permanente have already integrated non-face-to-face visits into their practice. And insurers are increasingly covering virtual care– with UnitedHealthcare last spring expanding virtual care to employer self-funded plans via a mobile app as just one example.